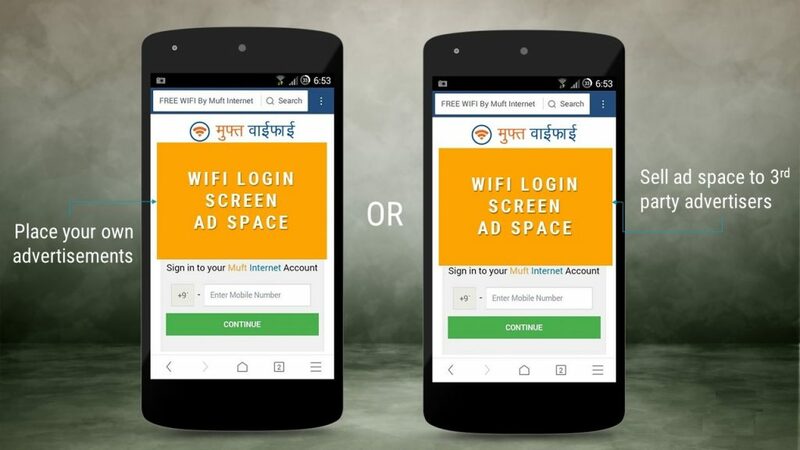 Muft (free) WiFi Zones: This idea is a compilation of our learning from digital (wifi) advertising in rural India with a team of 12 advertising agencies and their FMCG/Banking clients. 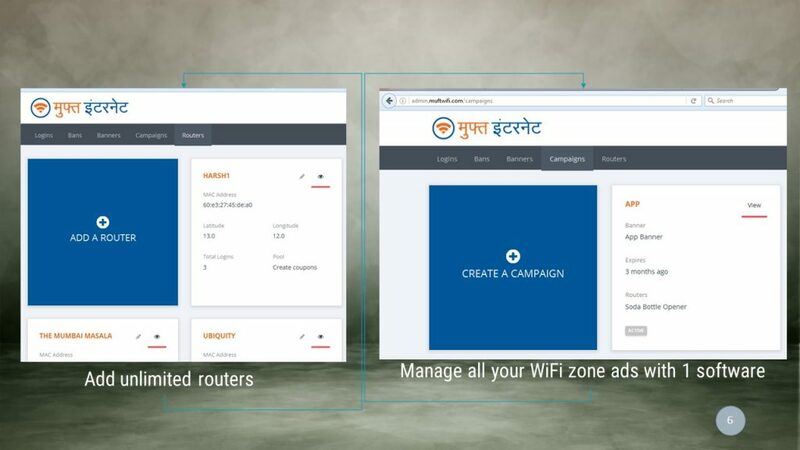 At present, the Muft WiFi rural advertising network consists of 45 Internet service providers and, a community over 1.5 million people across (12 states in) India, Botwana and Kenya who have spent 20 million hours at different ad-sponsored Muft WiFi Zones. To get a copy of this case study contact us via our contact form with your name and intent of use. The Problem: Why is rural marketing so difficult? Arguably, India can be considered as one of the most culturally, economically, politically and linguistically diverse country in the world. With a population of 1.3 billion people in India living in 29 states and 7 union territories; your target audience could be split across its 30 major cities, 8000 towns and more than 600,000 villages. India speaks over 120 languages across 1600+ dialects and is home to hundreds of religions. This diversity in India makes it extraordinarily hard to reach out the right audiences. The Need: Why is rural marketing so important? With over 70% of the Indian population still residing in villages and small towns, it’s time to think beyond the hyper-competitive markets of big cities and dive into the world of rural marketing in India. What’s more? Rural India contributes to over 60% of the GDP! Ahem… now, I have got your attention! The Scope: Mixing creative rural marketing ideas via the digital medium? 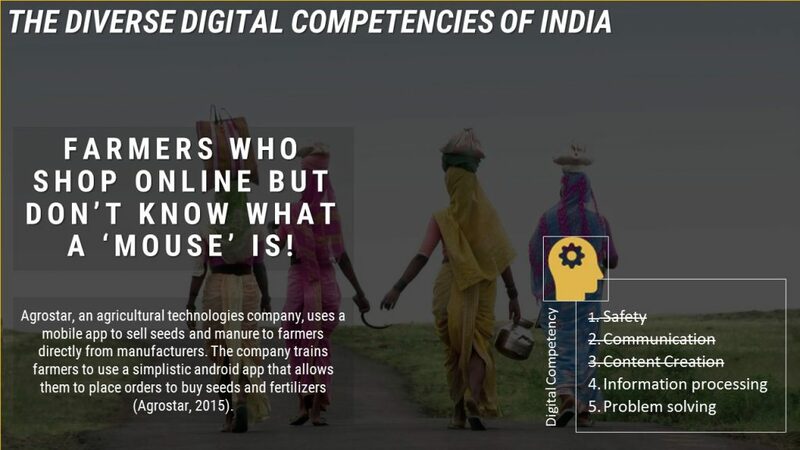 (in simple words) Is rural India ready for digital marketing? Yes. And free WiFi advertising was our process! Just like any form of marketing, generating creative ideas for rural marketing means identifying the needs of customers and potential customers, providing products/services that satisfy their needs, and developing efficient processes or systems to deliver your product/service to the market when, where, and how consumers want it. 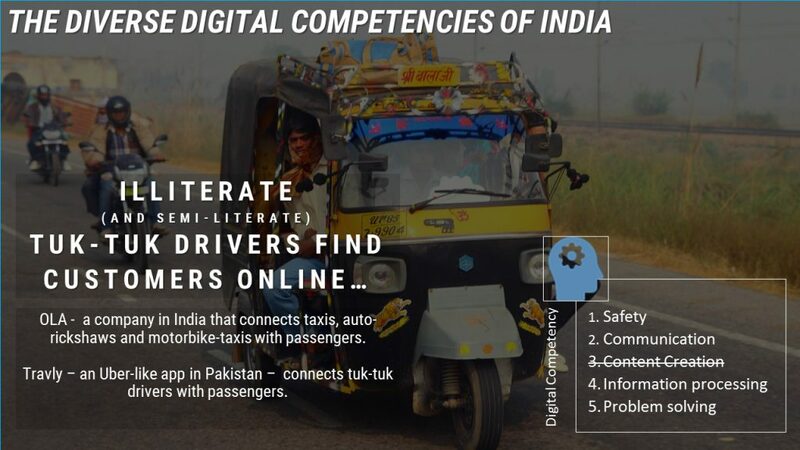 The following three images will show the diverse digital competencies of India with a promise of an Internet enabled smartphone. These images make it clear that people love their smartphones and the ease of access it brings beyond traditional PCs. Infact, CISCO predicts that India will have 650 million smart-phones by 2019! Ad-sponsored Free WiFi could be one of the easiest and best ways to attract new customers who stay offline most of the times because of of expensive data. For less than Rs. 1, a brand should be able to showcase their (shifting/rotating ad) to one person in the remotest part of India – that was our design goal! The Process: How Did (do) We Do It? Traditional ad-networks that have largely catered to the city audience and they were built that way, so they simply don’t work when it comes to rural markets or WiFi. From outdoor media to social media advertising, the focus for most platforms, brands and advertisers has been ‘urban’ or ‘exclusive’ – not ‘rural’ or ‘inclusive’. Enjoy WiFi for one session. We made sure that the user witnessed the advertiser’s branding continuously for 1 and a half minutes during the login process. We made it dead simple… And the incentive was large – Free WiFi! We localised this login screen and the WiFi SSID in 18 different languages. We made sure the login-page was fully mobile responsive and that it would load across 15 of the most popular mobile browsers used in India. We ensured that every end-user got a minimum speed of 4MBs on their phones to ensure an excellent user experience. We eliminated ‘text’ based user IDs and kept our focus on ‘number IDs’ and ‘number passwords’. This included a lot more semi-literate people. 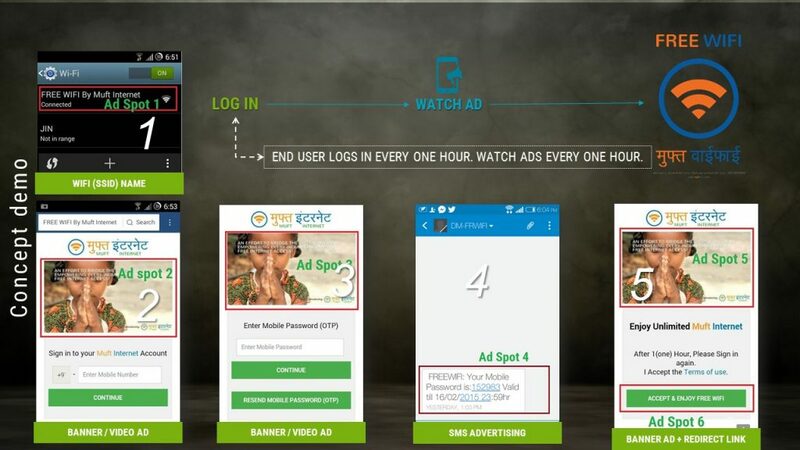 Our advertisers (or their agencies) could easily manage ads remotely from their Delhi, Mumbai and Bangalore offices. The interface we built to manage this was simplified too. The Outcome: Making a shift From Bullock-cart/Rickshaw Marketing to WiFi Marketing! During the Independence struggle in India, bullock-carts were used to carry out messages. These bullock-carts have now been replaced with tractors and motor-rickshaws. There are several rural marketing agencies that are doing a fantastic job. For instance; using bullock carts and auto-rickshaw advertising can be an excellent way to showcase your banner and reach out to rural audiences. Many distributed networks in different areas will assist you with this. Again, if you want to go all-India with such ideas, it’s next to impossible. Rickshaw-marketing is extremely effective in targeting few hundred villages at time but as you wish to be more aggressive on rural marketing, the cost of managing this shoots up exponentially. By the end of 2015, India had defeated United States as the second largest buyer of smart-phones. India will have over 650 million smartphones by 2019 (CISCO, 2015). Our idea of using free WiFi for rural marketing and building a system from scratch to support it worked! We made some of the largest brands move their digital spends towards rural markets. We convinced ad agencies with clients like Coca-cola to understand the limited effectiveness of digital marketing efforts in hyper-competitive urban areas; and the opportunity to go digital and rural. We have now expanded its reach to cover more rural areas at decreased costs. It’s clear that ‘Muft (free) WiFi rural marketing’ is definitely going to pave the way for many of the first movers advertising with us in this unchallenged (digital) rural market territory.